With summer coming up we can’t help but get out for the day and enjoy the sun! However while many of us are constantly on the go all year round for various reasons, some of us find seemingly simple tasks more challenging than others do. If these simple tasks become much more difficult than previous they can have a major detrimental impact on your fun or duties. 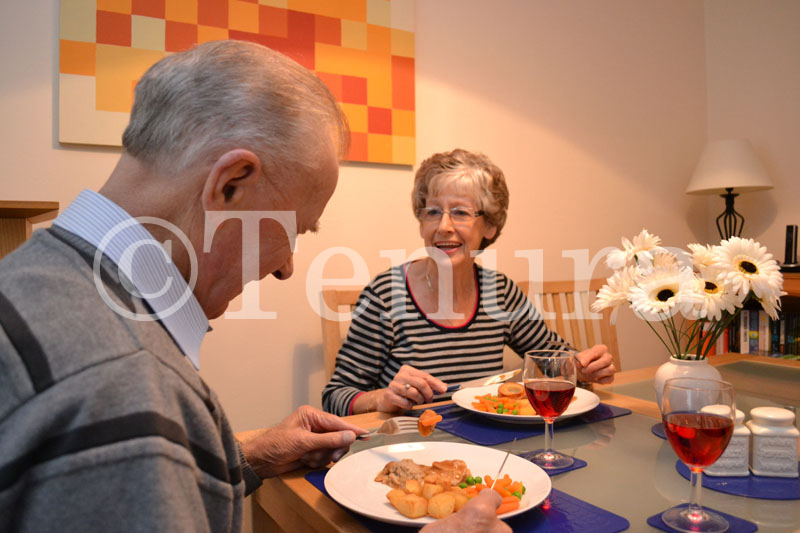 With this blog post we are going to try and explain a few ways on how Tenura products can help make these everyday tasks easier. The ranges of select Tenura products below are designed to make various simple tasks on the go feel like a breeze once again. 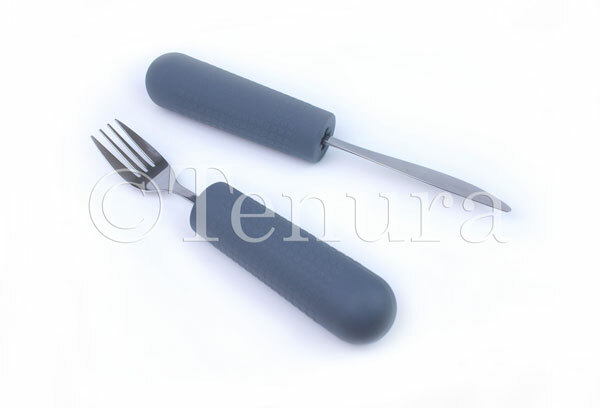 Tenura cutlery grips, like the majority of Tenura products are produced from silicone. The main benefits of silicone is how well it grips and the comfort experienced whilst holding it. These features mean that you can take them anywhere with you. For example, if you’re going out for an expensive meal or just want to stop off somewhere for a spot of lunch they are perfect for popping on to your cutlery quickly and easily. 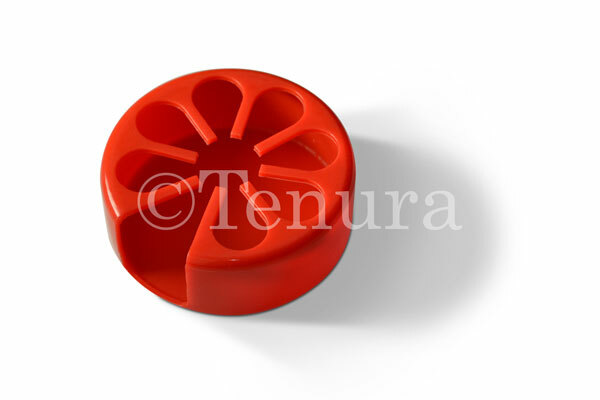 If Tenura cutlery grips get dirty they can be easily washed with hot, soapy water or by popping them in the dishwasher and once dry they are then ready to use again. Cutlery grips are not exclusive for use with cutlery as you can also put them on pens and pencils, with a larger surface area to hold, it will become easier to write and draw, reducing if not eradicating discomfort. 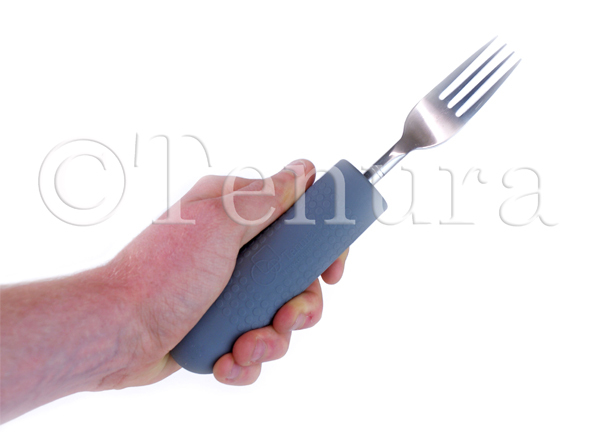 Tenura cutlery grips are available in adult sizes and children sizes. 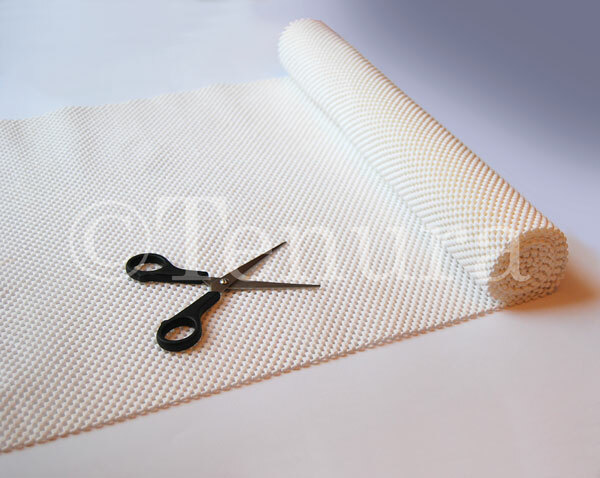 The Tenura Non-Slip Fabric is also beneficial when on the go. Made out of non-slip foam applied to a polyester mesh, this makes it a stable yet comfortable and cushioned non-slip material. This fabric is easy to cut making it easier to carry as you can then only take as much as you need. It has multiple purposes when on the go, it can be used as additional comfort when sitting on a bench whilst relaxing or having a picnic. Due to non-slip fabrics flexibility, it is easy to fold and carry in your bag. You could also find its benefits when having a picnic by using it on the table surface to place your food and drinks on for either a cleaner surface or to make everything less prone to slips. It is also suitable for resting your arms and elbows on to increase comfort. 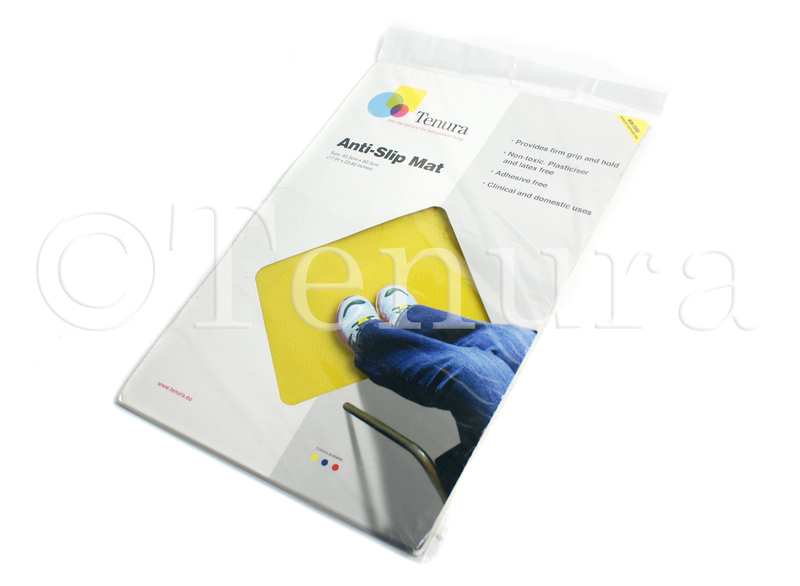 Tenura non slip fabric is available in 3 colours. 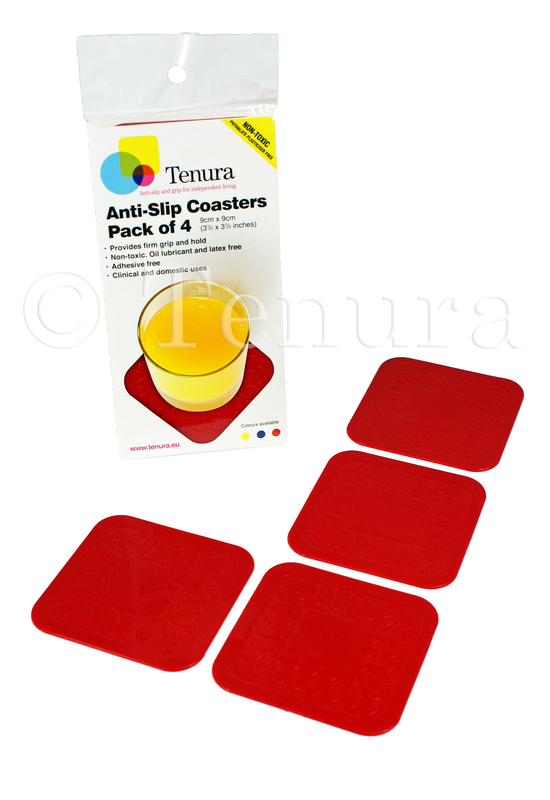 These cup holders are made from silicone and work exactly as a coaster would but are designed to hold onto the base of your cup and create a portable anti-slip surface. 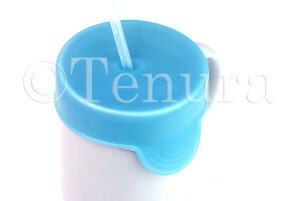 Tenura moulded cup holders fit onto the bottom of your cup indiscreetly and with minimal effort. This makes it easier to place cups down without marking any surfaces and will prevent accidents if the surface is overly slippery. 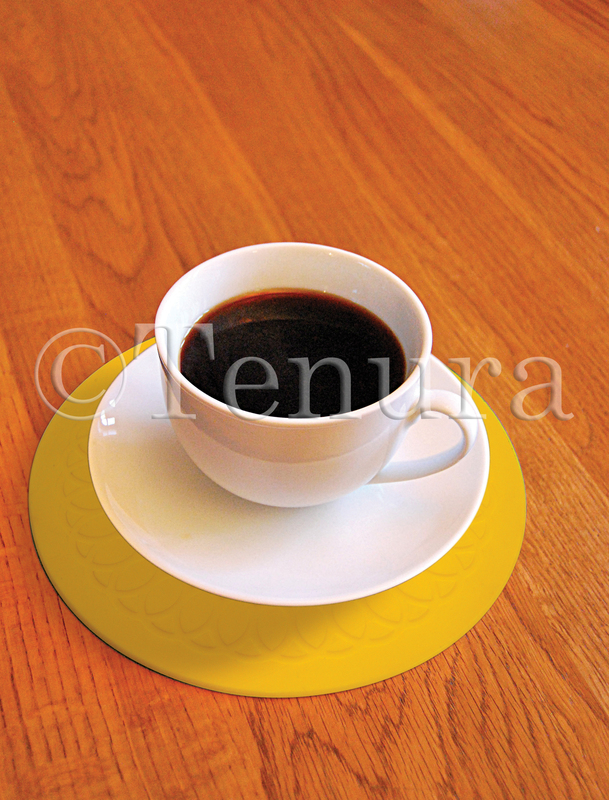 Silicone also has a high tolerance to heat so these anti-slip cup holders prevent any spillages created by unwanted movement and preventing marks and stains on table surfaces that could be caused by hot mugs and cups. These will be very useful at the family picnic or at the office for those busy workers who are always on the go! 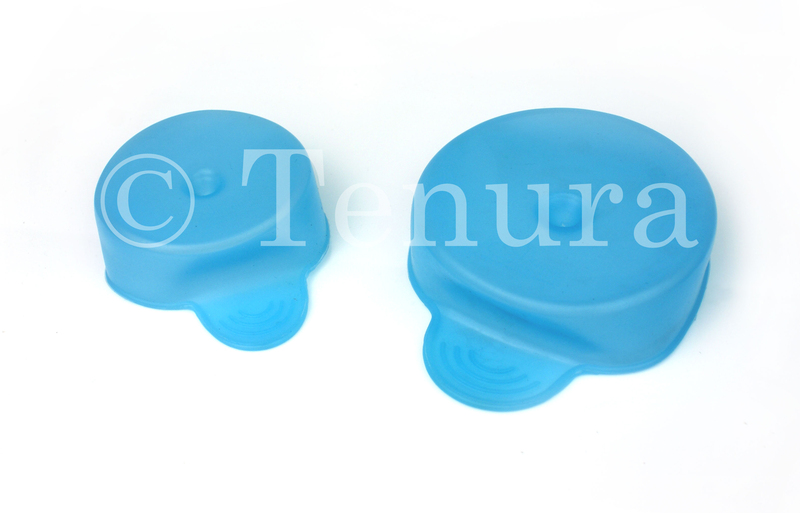 Once placed down Tenura moulded cup holders will ensure your drink does not spill, but are also easy to remove and wash ready for next time! 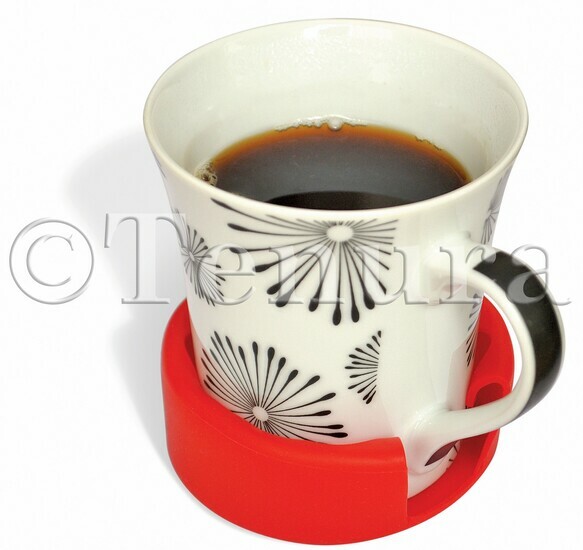 Tenura moulded cup holders are available to buy from the website in 3 colours. Posted in Arthritis Aids, Assisted Living, Daily Living Aids, Independent Living, Non Slip Fabric and tagged daily living aids on the go, cutlery grips, non slip fabric, cup holders on 16th June 2017 .